Organised by the Centre for Nineteenth-Century Studies. Free event. You are warmly invited to the first ‘scratch’ showing of a collaborative performance project that originates in the work of the late nineteenth-century ghost story writer, aesthetic theoretician and queer thinker, Vernon Lee. The short performance, which explores the question: “What does art do to (and with) our bodies?”, will be followed by a panel discussion between Dr Carolyn Burdett, whose work on Vernon Lee, late nineteenth-century experimental aesthetics, and ‘empathy’ initiated the project; Professor Hilary Fraser, author of Women Writing Art History in the Nineteenth Century: Looking Like a Woman; and Professor Matt Longo, Director of Birkbeck’s BodyLab, who studies the mental representation of our bodies and how our bodies shape our perceptions. They will be joined by the performance project’s Director, Professor Rob Swain, and writer, Nicola Baldwin. The woman was Vernon Lee (born Violet Paget). Fiercely intellectual, linguistically adept, cosmopolitan, lesbian, adored by some and ridiculed by others, Lee was an aesthetic theorist and psychological experimenter. 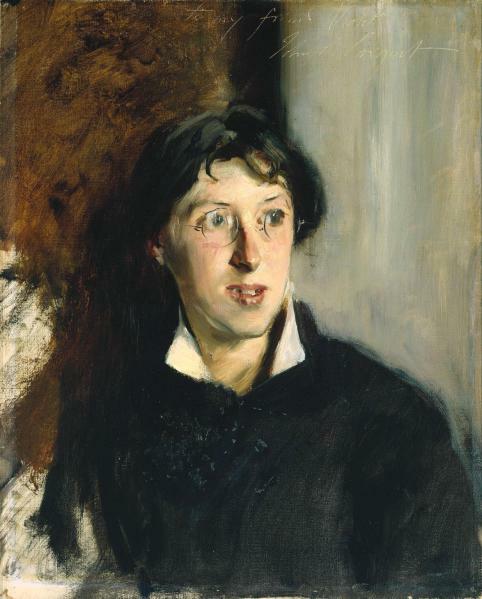 Throughout the 1880s and 1890s she explored the galleries and museums of Florence, Rome, Paris and London with her lover, Kit Anstruther-Thomson, an aristocratic Scottish artist. Kit’s body was sharply sensitive to shape and form: standing in front of an upright object, she felt her lungs fill with air, and the air exhale over a curve; her muscles tensed in concert with planes and lines and angles; a lop-sided shape made her sag, a heavy one made her feet plant down more firmly. Lee, entranced by Anstruther-Thomson’s body, watched it, seeing art. Lee called this process Einfühlung or ‘feeling into’ – a word borrowed from German psychological literature. She believed Einfühlung held the key to understanding why art affects us, and why beauty is vital. In the first decade of the twentieth century Einfühlung was translated as ‘empathy’ and Lee became the first writer in Britain to write extensively about it. Much of our body’s activity takes place automatically, without volition and, often, without consciousness. To focus on a breath can make it feel more difficult. Pleasure and pain intensify the sense of one’s body surfaces, inside and out. Some of us train our bodies, and are surprised to discover spaces and sensations hitherto hidden in layers of muscle and sinew. Vernon Lee believed that all bodies respond to the form of objects. Form communicates motion to us – rising and falling, curving, straining, relaxing, pressing, pushing. Such motions are our bodily experience, part of what makes us feel alive. They are experienced, though, not as us but as residing in the objects themselves for: ‘We are inside them; we have “felt ourselves,” projected our own experience into them’. This performance piece uses Lee’s experimental practices as recorded in Gallery Dairies in which she meticulously charts her experiences of looking at art. With Vernon Lee and Kit Anstruther-Thomson as guides, you are invited to explore the body’s unknown territories, to re-think, re-feel, and re-imagine art, beauty and ugliness. The performance offers gallery and museum visitors a blueprint for an experience of art – what our bodies do to art, and what art does to and with our bodies. Please visit experimentingwithvernonlee.wordpress.com for more information.